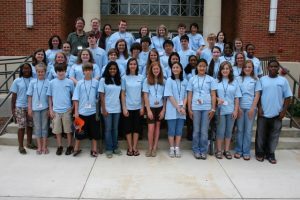 The Summer Piano Discoveries Camp at Ole Miss offers students the opportunity to study piano and make new friends in the charming environment of beautiful Oxford, Mississippi, the home of renowned writer William Faulkner. Piano Discoveries Camp encourages and challenges piano students in 7th through 12th grades through a wide range of musical activities, while leaving time for some fun recreational adventures. 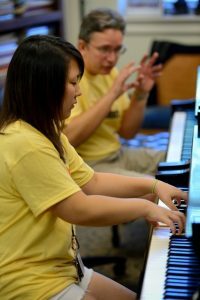 Campers will be placed in groups according to age and ability and will receive private lessons, daily master classes, and classes incorporating keyboard literature, music theory, technique, sight-reading, music computer technology, keyboard mechanics, keyboard skills and ensemble playing. To begin with, no one can deny the charm and hospitality offered in the small city of Oxford, Mississippi. Home to writers, artists, and musicians of all genres, Oxford possesses its own unique appeal, and the University, fondly referred to as Ole Miss, has become almost as active during the summer months as during the regular school year. In addition to experiencing our new state-of-the-art facilities, campers and parents will have the opportunity to mingle with music faculty and staff during the opening orientation and at the closing reception. Students will be introduced to new concepts in piano playing, develop listening skills, hear quality musicians in concert, and be challenged to take their musicianship to the next level. The activity schedule will vary from day to day to expose students to a wide variety of piano discovery. Students entering the 7th through 12th grades and who play at an intermediate level of skill or higher are eligible to attend Piano Discoveries Camp. Students who have completed grade 12 and have not yet entered university are also eligible. Opening day placement auditions are designed to assign students into one of four groups based on age and ability for daily master classes and other class activities throughout the week. The Camp faculty rely on the judgment of the student’s applied piano teacher to determine whether the student is playing at an appropriate level for our Camp. 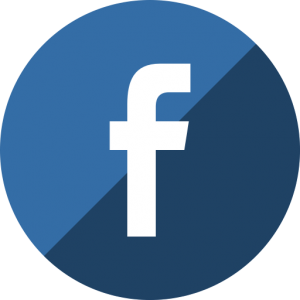 Some examples of minimal repertoire requirements would be J.S. Bach Inventions, Clementi Sonatinas, Mendelssohn Songs Without Words or Debussy Arabesques. The cost of attending Piano Discoveries is $500 for resident campers. This includes room & board, tuition, all recreational activities and concerts, and a Camp T-shirt. The cost for commuters is $450 which includes everything except housing and meals (lunches will be provided). A non-refundable $75.00 registration fee (applied toward tuition) is required at the time of application. Tuition should be paid in full by one month prior to camp in order to guarantee a place for the student. Late registrations will be subject to a $40.00 surcharge and enrollment will be capped at 40 students. Please check with your local Music Teacher Association Affiliate for available scholarships for summer study. MTNA and NFMC affiliates have been very generous in sponsoring deserving students, as have some local music clubs and symphonies. A limited amount of Camp scholarship funding may also be available for those in need. One 30-minute private lesson with an assigned teacher is included with tuition. Additional lessons may be requested with a specific teacher at a rate of $25 per half-hour. Please do not include fees for additional lessons with your tuition payment. Extra lesson fees will be collected at the camp orientation and should be made payable to the teacher(s) of choice. All classes, lessons and concerts will be held in the Music Building located on University Avenue at the entrance to campus, directly across the street from the Ford Center for the Performing Arts. Evening recitals will take place in Nutt Auditorium, which features two nine-foot Steinway D pianos. Campers will be housed in one of our finest air-conditioned Ole Miss dormitories and will be supervised by trained counselors during the entire week. Recreational Activities will be scheduled throughout the week to give students a break from the rigorous curriculum. Among the activities will be a pizza party, a movie night, and a double-decker bus tour of Oxford. Board games and television will also be available at the end of each day’s activities. To register for Piano Discoveries, please complete the following forms and (1) return them to Piano Discoveries Summer Camp, The University of Mississippi Department of Music, PO Box 1848, University, MS 38677-1848, OR (2) scan completed forms into a single PDF and email it to ihominic@olemiss.edu on or before the registration deadline. A native of Nova Scotia, Ian Hominick has studied under the tutelage of the renowned virtuosi Jerome Rose and Earl Wild, having served as assistant to both Earl Wild and Tchaikovsky Competition silver medalist André Laplante. Before joining the piano faculty at The University of Mississippi in 1999, Dr. Hominick taught on the faculties of the University of Newfoundland, the Wisconsin Conservatory of Music, De Paul University and Lake Forest College in Illinois. An active soloist, adjudicator and teacher, he maintains a busy schedule of concerts and master classes across the United States and Canada. The Charlottetown Guardian commented that Hominick has “an exceptional ability to pull music out of each pianist in a very individual way.” Mr. Hominick’s latest CD “Off the Beaten Path” has recently been released by MSR-Classics and has garnered high praise from the international press. Adrienne Park has been on faculty at the University of Mississippi as a collaborative pianist for the instrumental department since 2011 and has been a faculty member of the Piano Discoveries Camp since its inception in 2007. She is the Principal Pianist of the Memphis Symphony Orchestra and enjoys playing a wide range of chamber music and contemporary music for the piano, celeste, harpsichord, synthesizer, toy piano and percussion. Ms. Park studied with Abbey Simon and Robert Silverman and was the faculty pianist for residencies from 1994 to 2000 at the Banff Centre’s Music and Sound Program. If you have any questions, contact Ian Hominick at ihominic@olemiss.edu or (662) 915-1282. Please note that there are no auditions to be admitted to this Camp, but we do ask that all campers play at least at an intermediate level. Campers will be divided into master class groups according to age and ability based on the Placement Auditions and the discretion of the Camp Director. Please do not send a request to be placed into any specific group.